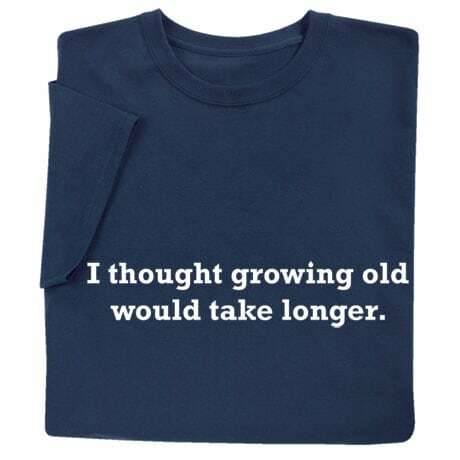 Who knew the years would pass so quickly? 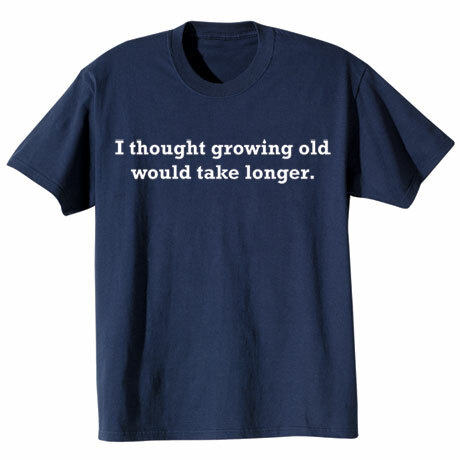 Slightly wistful wear for someone celebrating a big birthday or retirement (and maybe a wake-up call for the 20-somethings in the crowd? 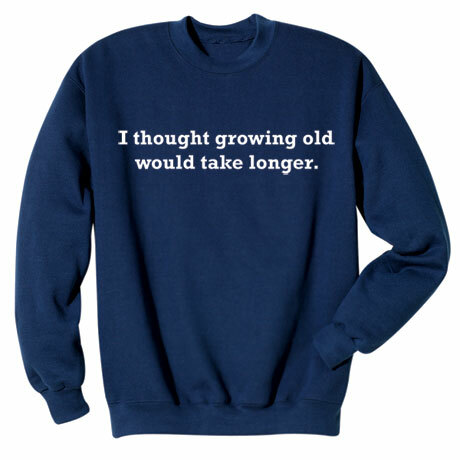 ), navy sweatshirt is 50/50 cotton blend, T-shirt is preshrunk 100% cotton. Sizes S-3XL. Imported.